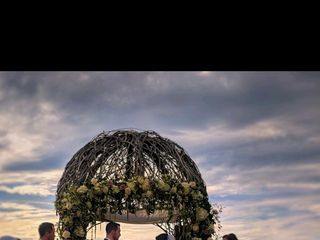 Loving Hearts Ceremonies is a unique wedding officiant company based out of Elmsford, New York. 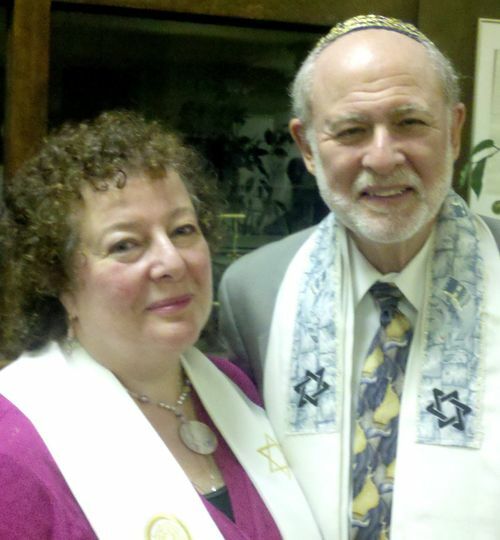 This one-of-a-kind business is owned by Rabbi Roger Ross and Reverend Deborah Steen Ross. 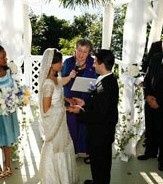 Couples can choose to have this married couple officiate their wedding together for an interfaith ceremony, or separately. Loving Hearts Ceremonies promises to make your dreams come true by offering a personalized wedding that reflects you as a couple. Rabbi Roger Ross is an Interfaith teacher and representative of the United Religions Initiative at the United Nations, in addition to being a Rabbi. 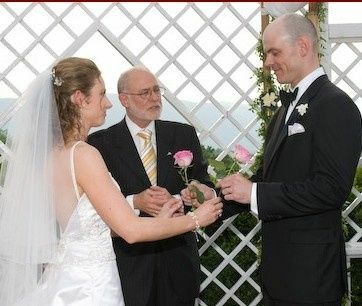 He’s been a wedding officiant for the past 32 years, and holds a Bachelor’s Degree in Psychology and Philosophy from New York University. 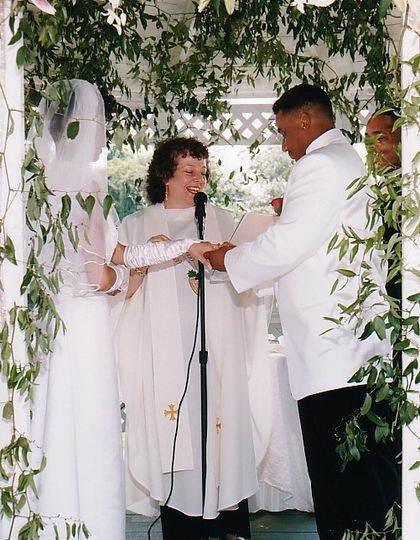 Reverend Deborah Steen Ross has been a wedding officiant for the past 20 years, and loves to work with both straight and gay couples, as well as young and old. She holds a degree in Acting and Directing from Ithaca College, and is also an Energy Healer and teacher. Rev. 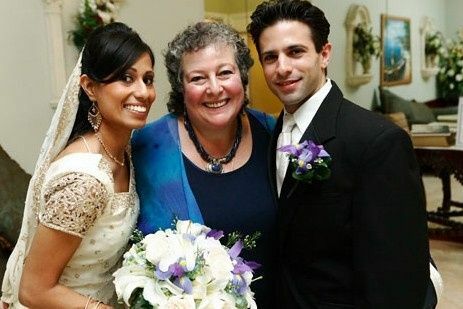 Deb performed this wedding with a with a Muslim Bride and a Christian Groom. Rabbi Roger Ross and a Halloween Wedding at Crabtree Kittle House. 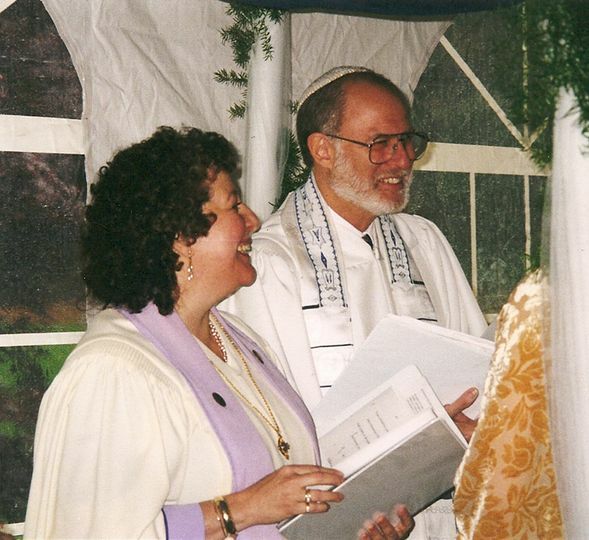 My husband and I were married by Rabbi Roger and Rev. Deb May 26, 2018. They were so incredibly wonderful through the whole process. We were told by many people that it was the most beautiful ceremony they had been too. And that is truly thanks to the rabbi and reverend. My husband and I would recommend them to anyone getting married. The best part is that they truly care. These are two people who love getting to be apart of such a special day. 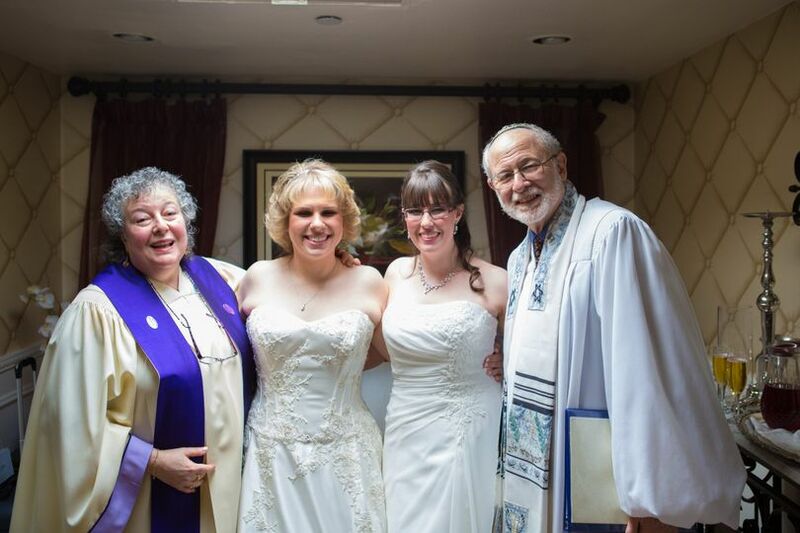 My wife and I were introduced to Rabbi Ross after hiring Father John Voglio (who was wonderful as well) to preside over our interfaith wedding ceremony. Once we met the Rabbi at his home, we knew we were in good hands. He was extremely courteous and generous with his time and guidance, as Amanda and I were very unsure of what to do. Between Rabbi Ross and Father John, we couldn’t have asked for two better clergymen to preside over our wedding. The ceremony itself was full of love, humor and wisdom. Several wedding guests came up to us afterwards and told us it was the best wedding ceremony they had ever seen. Rabbi Ross took extremely good care of us and we are excited to welcome him into our lives for the big moments of our family in the future. 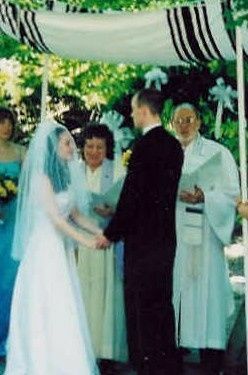 My husband is catholic and I am jewish, so we really werent sure of what sort of ceremony we wanted. At our first meeting with Rev Deb, she made it so clear and easy to understand. 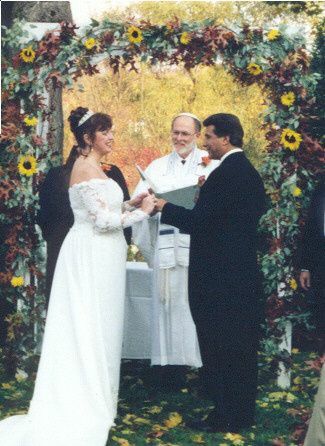 Most of the catholic and jewish traditions relate and she was able to incorporate the key aspects of both religions and, in the end, the ceremony was more focused on love than anything else. Guests came up to us all night and commented on how amazing our ceremony was, ranging from my strictest jewish aunt to his Guatemalan cousins. Rev Deb set the tone for the entire spectacular day!